Tuberculosis is a potentially life threatening infection involving the lungs. While once considered a major epidemic health crisis, it is now a considered a controlled disease that is treatable and many patients are able to recover symptoms free in the United States. Despite advancements in controlling the disease, 2 million lives are lost annually throughout the world. Third world countries are not as fortunate, as a lack of appropriate medication keeps worldwide tuberculosis a pandemic. About 1/3 of the world’s population is infected, although many carriers are unaware that they have been exposed to or are exposing others to the disease. Tuberculosis is a disease about as ancient as the human population. Tuberculosis has been evidenced in mummies unearthed in Egypt dating back at least 5,000 years. It is possible to carry tuberculosis for years before developing the disease. There are those who have the disease and never develop the symptoms. Those who become ill must receive adequate medical care or tuberculosis can be fatal. Tuberculosis is segregated into two types, the TB infection and active TB. The TB infection can reside inside the body and present no symptoms whatsoever. Active TB however, can present with symptoms like a low grade fever, weight loss, night sweats, chills, los off appetite, painful breathing, painful cough, pleurisy, fatigue, and a cough that is often accompanied by bloody or thick sputum which can last three weeks or longer. 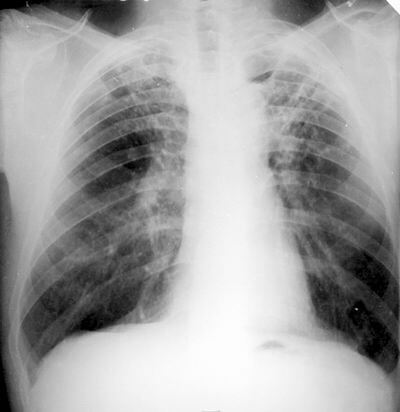 Initially, patients develop a cough and slowly the symptoms progress into full blown active TB. Although tuberculosis is most often associated with pulmonary symptoms, it can actually target various parts of the body including but not limited to muscles, bone marrow, the lymphatic system, bones, joints, urinary tract, and central nervous system. Symptoms related to tuberculosis of various parts of the body are relative to the body part under attack. TB can attack various parts of the body at once. Tuberculosis is caused by a specific bacterium known as microbacterium tuberculosis, and is transmitted from patient to patient via infected droplets in human saliva. This means transmission can happen via contaminated coughing, sneezing, and other forms of human saliva expulsion. Pregnant women can pass the bacteria to her child even after treatment and even if she is asymptomatic. Generally speaking, a patient must have significant contact with another individual in order to pass the tuberculosis bacterium and is not considered a highly contagious disease despite its contagious nature. While tuberculosis is easy to spread, it is not quite as easy to catch. Risk factors for active tuberculosis include a depressed immune system whether via disease or age. The young and the elderly are particularly sensitive to contagious diseases. Malnutrition, drug use, regionally prone nationality or living conditions, constant exposure such as health care workers in a residential care facility, international travel, poor medical care, and living or working in a high risk area such as a refugee camp or shelter. Testing for tuberculosis is fairly simple but not always reliable. However tine tests and PPD tests are the most common forms of diagnostic tools used. PPD tests, which involve the injection of a small amount of TB foam under the skin of the forearm, are considered more reliable than tine testing. If a tine or PPD test comes back with a positive reading, or if symptoms persist or worsen, a chest x-ray can then confirm the diagnosis. Blood tests can be used to determine the presence of tuberculosis when exposure is already confirmed. Permanent lung damage as well as neurological and nervous system complications are the most common complications associated with tuberculosis. If medical care is not received, tuberculosis can be fatal. The most serious complication however, is the recurrence of tuberculosis infections. Tuberculosis is treated with long term high dose antibiotics, often taken for 6 to 12 months at varying strengths. In the early to mid 20th century, patients with tuberculosis were sent to sanitariums. It was believed the cold air, the chronic enforced rest, and the over abundance of food was the perfect prescription for tuberculosis. While many patients recovered, this method contained the disease effectively. Medications are now considered a much more effective treatment option for those who can receive reasonable medical care.